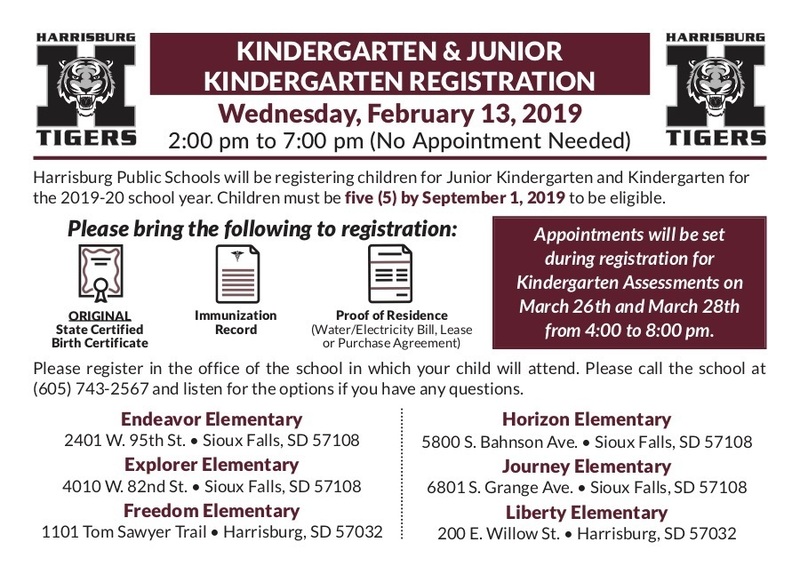 Harrisburg Public Schools will be registering children for Junior Kindergarten and Kindergarten for the 2019-20 school year. Children must be five (5) by September 1, 2019 to be eligible. Appointments will be set during registration for Kindergarten Assessments on March 26th and March 28th from 4:00 to 8:00 pm. Please register in the office of the school in which your child will attend. Please call the school at (605) 743-2567 and listen for the options if you have any questions.